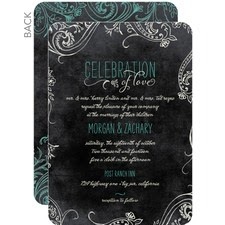 Do you need save the dates, invitations or other wedding paper such as menu cards, place cards, or ceremony programs? 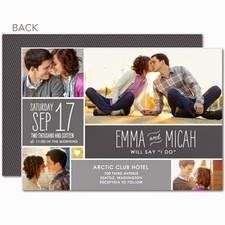 Now is the time to see what Wedding Paper Divas has to offer you. 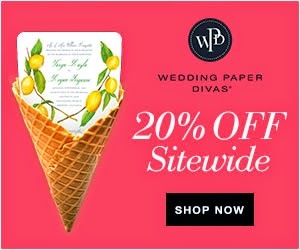 Take advantage of the opportunity to buy your wedding papers during this great site wide promotion. Offer expires 8/5/2014 at 11:59 pm (PT). Enjoy 20% off your order using the code SUMMER14 at checkout There is no minimum purchase required for this promotion. This promotion code cannot be combined with other offers. Offer not applicable to previously placed orders, shipping, taxes, rush processing charges, and excludes photo books, calendars, gift certificates and items from their Thermography, Letterpress, Foil Stamping and engraving collections and our professional printing service. Offer is valid only on Wedding Paper Divas. To take advantage of this offer click the shop now link below and get started. 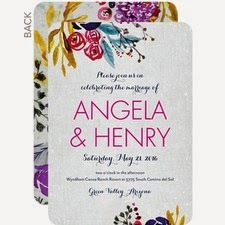 Call or email Nancy if you need help with planning your wedding paper for your wedding.